Don’t freak out, but Martha Stewart will be at The Dallas Arboretum next month. 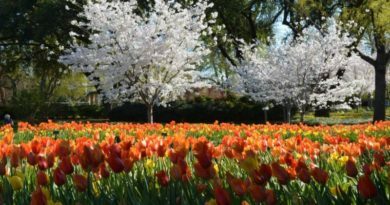 The Dallas Arboretum and Botanical Garden’s Artscape Chairwoman, Kaki Hopkins, announced that the most famous name in gardening, entertaining and decorating is the Great Contributor to Art Award honoree and speaker. Stewart will talk about her latest book at the May 11 event. Just released, Martha’s Flowers: A Practical Guide to Growing, Gathering, and Enjoying features decades of Martha’s gardening advice, along with more than 100 creative arrangements by Kevin Sharkey, her longtime friend, and colleague. A reception starts at 10 a.m. with book sales, signing, and bidding for the Invitational Fine Art Auction silent auction, which will be donated by dozens of acclaimed artists and local Dallas notables. The luncheon at Rosine Hall begins at noon. Tables are $3,000, $5,000 and $10,000. Sponsorships are also available. 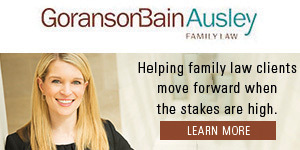 For more information, contact Missy Whisler at [email protected] or 214.515.6688. Visit dallasarboretum.org for more details. The Great Contributor to Art Award was designed and donated by Gary Lee Price, whose Great Contributors exhibition at the Dallas Arboretum in 2016 was the inspiration for the award’s name. Craig Hall, entrepreneur, businessman, and lifelong art collector, received the inaugural Great Contributor to Art award in 2017.